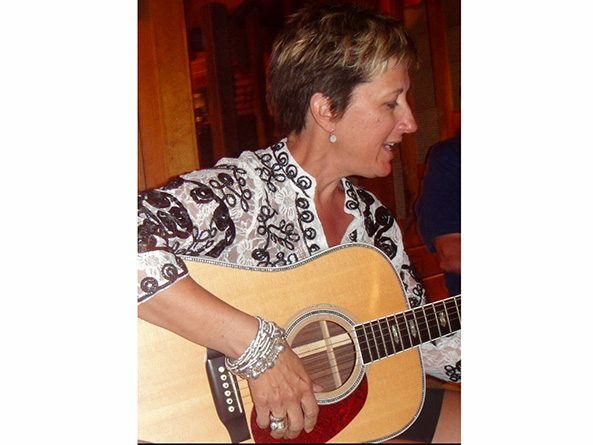 Above: Sen. Patty Pansing Brooks enjoys playing guitar in her spare time. Receiving one’s high school diploma is a momentous occasion, but for Sen. Patty Pansing Brooks, the event was even more memorable because the person presenting the certificate was her mother. Wanting to make a greater impact in the school district, Lu Pansing had earned a seat on the Lincoln Board of Education, Pansing Brooks said. One of her duties was to hand out diplomas. And one of those she impacted was her daughter. “Having your mom do that—it was pretty significant to a high schooler,” the senator said. Community service was normal behavior in her household, Pansing Brooks said: her mother served on the Lincoln Community Foundation and her father, Tom, served on the Lincoln City Council. Seeing her parents give back to the community instilled the same values in her, she said. The result is an extensive list of volunteer efforts, from serving on parent-teacher organizations to co-chairing the $6 million fundraising campaign for downtown Lincoln’s new Union Plaza. Following the example set by her grandfather and father, she started a business in District 28, (a law firm with her husband, Loel, in 1986), and began volunteering as a way to meet people and give back to Lincoln. Being a state senator was not in her long-range plan, she said. But with the youngest of her three children leaving for college this year and years of wide-ranging community involvement under her belt, the time was right take her civic endeavors to the next level. Pansing Brooks said some of her goals as a new senator include learning the Unicameral system, advocating for those in her district who struggle with low incomes and making sure Nebraska’s educational priorities survive a legislative session where property tax reductions have been suggested.